Without watch faces smartwatches are nothing but traditional digital watches that do nothing but shows only time & date. With the watch faces you can make your device even cool and amazing aa well as look & feel. That’s a reason Samsung always promote faces on their all Samsung Gear wearables. The Samsung Gear lineup is famous for it, all Gear wearable comes with lots of watch faces – some are for entertainment purpose and some are really useful in many ways. The Samsung Gear Sport smartwatch carry 1.2-inch Super AMOLED screen with 360×360 display resolution, makes it best gadget for creativities and Always On Display is worth on it. 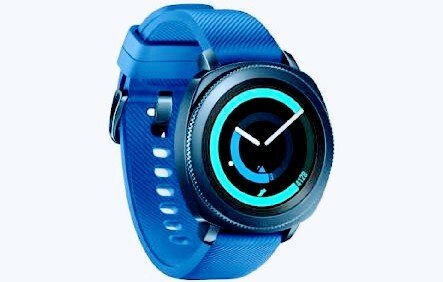 Samsung Gear S3 Frontier & Classic and predecessor Gear S2 watches had become famous with these features. In the recent update Gear Sport features have come to older Gear Smartwatches. Samsung supports Gear Watch Designer app updates regularly so developers could makes unique faces. Recently company has released new Gear Watch Designer app update for Gear Sport & Gear Fit2 Pro. It is so easy that even users can make thier own watch faces using this tool and can also sell for some price. If you wonder which watch faces are trending in Gear app store, then here is the list of some beautiful faces for your Samsung Gear Sport smartwatch. Most of these faces are built by indie developers and available for free. Here is the list of best watch faces from every category. It is must have face for Twitter users. Users can get all the trending tweets from their Twitter account. All the tweets from your favorite persons to whom you have been following will show on the front screen. You can like them, delete them or even reply them. All the tweets fits in this rounded screen. The Sport watch face is created by Samsung developers. It has all the the functions sport persons need in everyday workout. It will show you altimeter, heart rate monitor, speedometer and route information. Samsung take care of everything in the theme so you will get most of it. The Sports face comes with 6 color themes, choose your favorite color and set it. The Titan by Slash watch faces are one of the amazing faces in Gear store. It will show time, date and day on the front screen. This way you will get all the information on the main screen. The developers has released many themes for it and all are available for absolutely free of cost. To get this go to Gear store and install it. The Star Trek face specially made for its fans and don’t think it is created by its another fan. Using facer platform they made this for Gear Sport. For the Star Trek series fan it might be their dream face and they will like it. It was firstly released on Samsung Gear S2 smartwatch. It don’t do anything on Sport and don’t expect too much from it, it is just face to look better. If you need better than this one then you can wait for official release. You can get many watch faces from the store, different themes for different use. The Samsung Gear Sport is new device and these faces will make it even better. To download these watch faces go to Samsung Gear app store and install them. To create your own watch faces go to official Samsung developer website and download Gear Watch Designer tool, using it you can make your own faces. Do you want to add your watch faces into this list? Then feel free to share them in the comments box below.